Motorcycle accidents are one of the more devastating types of traffic incidents. 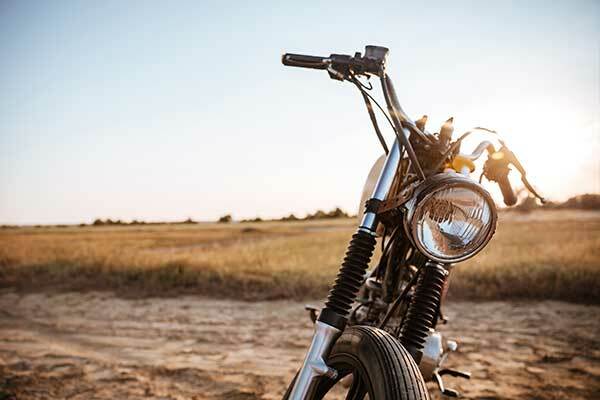 If you consider the lack of protection a motorcycle rider has, you can understand why the risk of physical harm is so much more significant for a person riding a motorcycle when they are in an accident. Often, the injuries from a motorcycle crash are much more severe and usually last long-term compared to the passenger in a regular vehicle. When you file a claim for your motorcycle accident, you need an attorney ready to address the long-term consequences of your accident. The compensation you receive needs to look at your medical expenses, and these expenses could add up quickly. The medical expenses are extreme from the moment the crash happens. Think about the costs of an ambulance, hospital visit, surgery, and aftercare. Then, consider the follow-up appointments, treatments, medications, equipment, and more. These can add to thousands of dollars. And even if you have excellent health insurance and automobile insurance, it is rarely enough to cover the long-term costs. Most of these injuries are common in a motorcycle accident. Some victims suffer severe road rash, which requires skin grafting, plastic surgery, and may still result in permanent disfigurement. Therefore, you can see that not only do you have the initial expenses, you also have the long-term consequences like losing work, missing out on wages, or being permanently disabled. When you have no income, the burden of these medical expenses grows. Your insurance benefits might be exhausted, and you will be paying for these out of pocket if you do not receive a settlement to offset the cost. Form some victims, this burden lasts a few weeks. But for most catastrophic motorcycle accidents, the burden continues the rest of their life. If you are permanently unable to work, how would you cover the long-term medical costs that lie ahead? How will you maintain insurance benefits without an employer? When your attorney assesses the long-term medical costs for your claim, they look at the injuries and physical consequences from that accident. All these physical consequences result in a higher medical cost expectation. Traumatic Brain Injury – A TBI has long-term effects that will vary depending on the area of the brain injured. You may have problems like cognitive impairments, seizures, loss of hearing or vision, chronic pain, insomnia, mood swings, and even periods of lost consciousness. Nerve Damage – Permanent nerve damage can result in numerous surgeries, muscle weakness, paralysis, organ dysfunction requiring machine assistance, respiratory distress, and treatments that attempt to help you regain some function. Neck Injuries – A severe neck injury could result in long-term pain, migraines, vision issues, and even damage to the nervous system that will affect your ability to function. Amputations – Amputations can result in many long-term costs. Not only is there the pain, but there is also the emotional and mental trauma, cost of prosthetics, complications with phantom pains, and the physical therapy needed to help a person learn to adapt to living without a limb(s). Spinal Cord Injuries – Spinal cord injuries can become extremely costly long-term. There is the need for continuous treatment and the victim may require life support. The victim could also lose function of specific bodily organs – like bladder control. They may be permanently paralyzed and need long-term care. Physical or occupational therapy might be required for months so that they can learn to cope with limited mobility. Burn Injuries – Burn injuries may require multiple surgeries. Cosmetic surgery is expensive, and the costs alone will easily venture into the tens of thousands. A burn victim may also need psychological therapy to cope with their new appearance and possibly lower self-esteem. They may undergo treatment for infections, have reduced strength, adopt a range of motion issues, and even more that requires ongoing treatment. When you receive a medical bill, you see that bill. But, what about the many others soon to come? What about the long-term care that you might not have considered? Surgeries – Surgeries are costly. Depending on the severity of the injuries, you could require multiple surgeries that span over a few months or weeks. These surgeries could be life-saving such as repairing organ damage. Then, you may have other operations to correct cosmetic issues like burns or severe scars. You may need surgeries if you develop an infection in one of your wounds or surgeries to repair nerve damage. Hospitalizations – You might be hospitalized initially after your accident, but then you may continue to be hospitalized after every surgery. If you have complications such as an infection, you could be readmitted. A few days’ stay adds up quickly. And the more you are admitted, the higher your hospitalization costs will get. Prescription Medications – Prescription medications are costly. If you do not have good medical insurance, you may find that you cover most of them out-of-pocket. That could be hundreds in prescriptions plus over-the-counter medications for the rest of your life that you need to consider. Doctor’s Fees – Each time you meet with a physician for a follow-up or diagnosis, you have an office fee that you will pay. For serious injuries, you may have multiple physicians you see throughout the week – quickly adding to your costs. Physical Therapy – You may require physical therapy to help you recover from your injuries, regain mobility, or learn to cope with issues stemming from amputations. These appointments can be several times per week for months. Medical Equipment – Following an amputation, you may need a prosthetic, wheelchair, or need to install assistive devices in your home so that you can live comfortably. All these costs are long-term, and the needs may only increase if you do not get better as time goes on. Diagnostic Tests – It is likely that you will have multiple tests administered – not only for the initial diagnosis, but after treatments and as follow-ups. These can include imaging like CT Scans, X-Rays, MRIs, PET Scans, and more. Also, you have the diagnostic workups like blood work and laboratory analysis. You did not cause the motorcycle accident, but you find yourself going into debt daily from covering the medical costs of that accident. Instead of struggling, meet with an attorney from Malman Law. Our attorneys understand what you are going through. We have helped clients in your position, and we know the long-term costs that you are likely to face. We want to help ensure you not only get the compensation you deserve for past expenses, but also the future expenses that will continue while you recover or live with your injuries. We are here to negotiate with the insurance company and fight for your right to compensation. To see how much you might qualify for, schedule a free, no-obligation consultation with our team today. We will aggressively fight for your right to compensation for past, current, and future medical costs. We also will work to get you compensation for lost wages, pain, and suffering. You did not cause the accident, so why shoulder the financial consequences of it? Meet with an attorney from Malman Law today by scheduling a free consultation at 888-625-6265 or request more information online.